When you look far back to the roots of Bend’s ski history, you see one name pop up a lot. I mean, you have no idea how to pronounce it, but you see it: Skjersaa (word to the wise so you don’t feel embarrassed, it’s “sheer-shaw”). Not only were they some of the first members of the Skyliners Mountaineering Club, the progenitor of Mt. Bachelor, but they have also had the longstanding Skjersaa’s Ski & Snowboard shop on Century Dr. Launched in 1958 by the Skjersaa family, they say they were “established through innovation and based on tradition”. Bringing customers quality products through constant research and vigilance has always been the focus. They are skiers and snowboarders and they are proud of what they sell because we’re proud of what they ride. If the outstanding service and selection doesn’t convince you, give their ultra-comfortable chairs in front of an authentic fireplace a try. 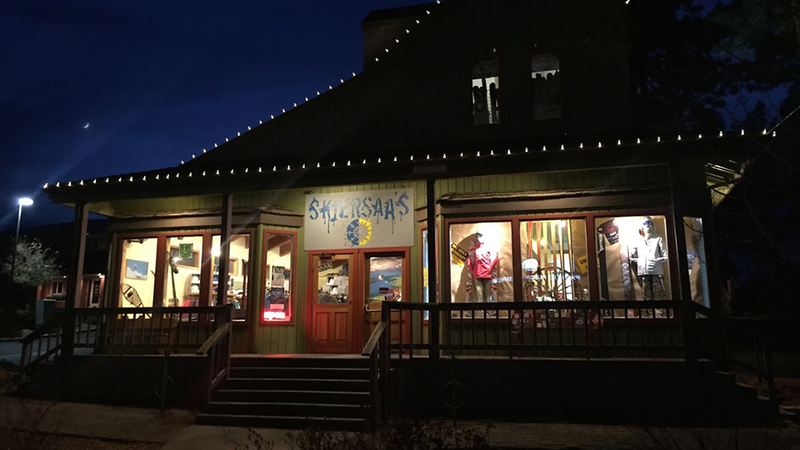 Skjersaa’s (remember: “sheer-shaws”) has been voted Bend’s Best Ski and Snowboard shop for twelve straight years by the Source Weekly.